JM Consulting & Systems Co., Ltd. is one of the top providers of IT services, consulting and support, operating from the office in Moscow. We are improving the work of large and small organizations across the entire spectrum of services, providing security, mobility and productivity. Our company consists of young professionals with extensive professional experience. Team spirit and proper coordination of interaction allows us to solve very complex problems. By combining the experience and knowledge complement each employee involved in the creation of JM solutions. We are proud that we can offer an unrivaled level of service quality and our experience in dealing with JM solutions. We offer a number of different solutions for companies of all sizes, from the office from five users to large international companies. Our extensive and varied experience allows us to offer our customers a wide range of systems and services, which increases efficiency, improves productivity and provides security that are both cost-effective and profitable. RAINUS- business partner of JM Consulting & Systems. RAINUS is a company founded by core personnel who developed and commercialized ESL for the first time based on IoTin Samsung Electro-Mechanics. RAINUS regards customer satisfaction and trust as top priority. Under the philosophy of creating new values and contributing to society, we aim to create a progressive future society by providing creative and stable ICT-based services. TmaxSoft – business partner JM Consulting & Systems. TmaxSoft South Korean company, founded in 1997, has entered the Russian market in December 2013. TmaxSoft uses only its own developed high-performance solutions for the corporate sector, highly established itself in the local and global markets, successfully competing with the giants of the industry. Since 2003, TmaxSoft, company is the market leader in web application servers in South Korea. With the successful implementation of several solutions, such as JEUS (Web Application Server) DBMS TIBERO (solution for managing databases), ProFrame (a platform for application development), and OpenFrame (migration tool to mainframe), TmaxSoft has grown into a global provider of large enterprise solutions outside of South Korea. 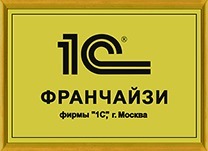 Our company is the franchisee partner of the “1C” company. Today we offer you a full range of management and accounting automation on the basis of “1C” and 1C-compatible solutions. You can contact us for any kind of services related to 1C, the status of 1C: Franchising confirms the presence of qualified professionals with years of experience. We can analyze your needs, plan your deployment, install and configure the 1C: Enterprise, we will train your staff to operate the system, and we will update the program to meet the changing Russian legislation. Our professionals have the expertise to address your problems. High qualification and professionalism are the key to success. The new solution for presentations and interactive learning U-POINTER. JM Consulting & Systems Co., Ltd. is one of the top providers of IT services, consulting and support, operating from an office in Moscow. Team spirit and proper coordination of interaction allows us to solve very complex problems. By combining the experience and knowledge complement each employee involved in the creation of solutions JM. Our experience allows us to offer you a wide range of systems and services, which increases efficiency, improves productivity and ensures security is a cost effective and profitable.